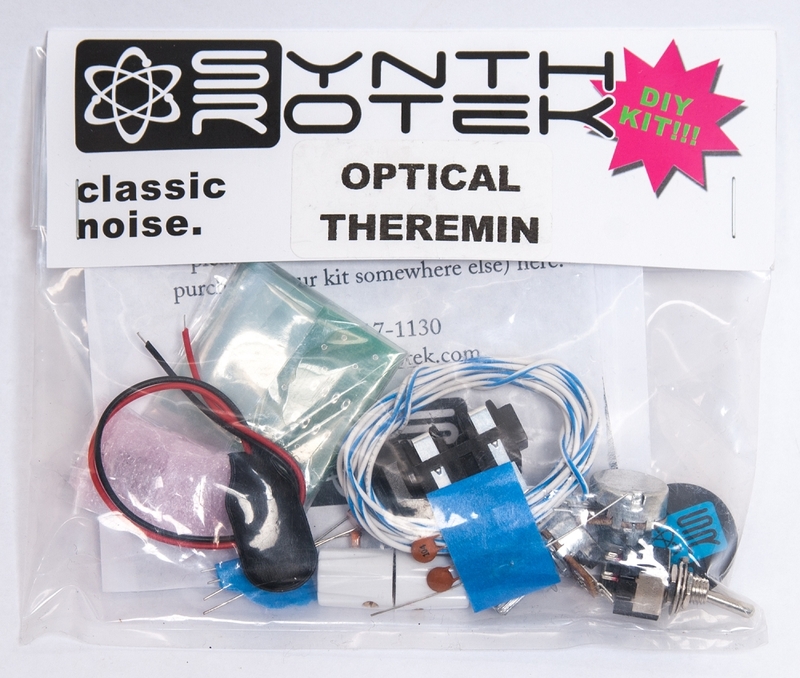 The Synthrotek Optical Theremin is one of our wildest circuits! Two optical resistors, sensitive to light shining upon them, control both the pitch and volume of a standard 555 timer in astable mode. The result: a chaotically cool noisemaker! 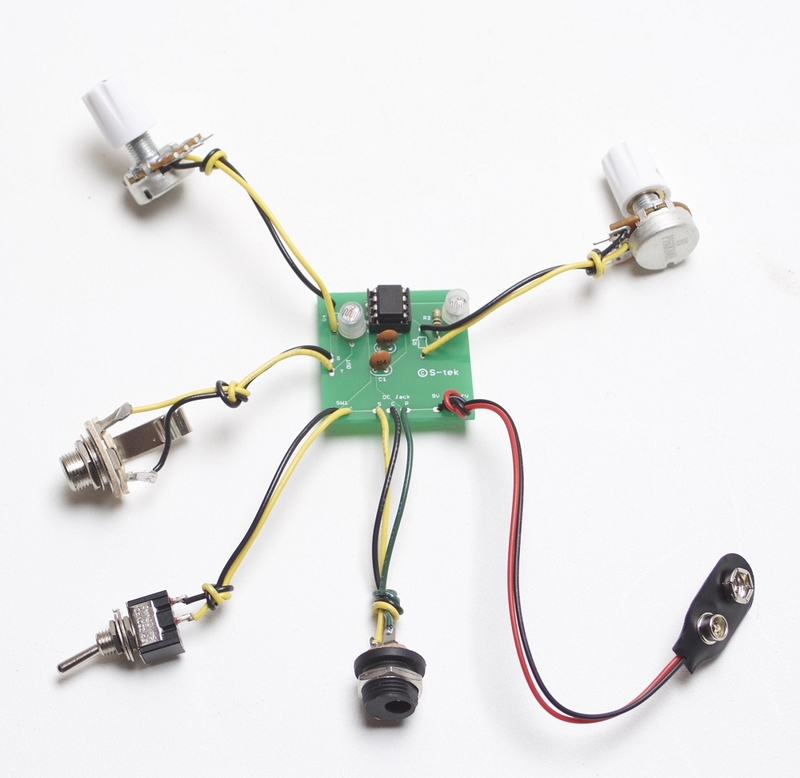 Two potentiometers allow for setting levels and sensitivity of both optical resistors. The circuit is simple to build and powered by either a 9V battery or a 9V center negative AC adapter. 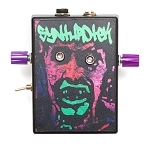 Loads of fun and highly adaptable/modifiable, you'll see the light with the Synthrotek Optical Theremin! 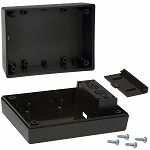 We recommend our 232i Plastic Synth Case for the Optical Theremin Kit.